New Zealand is probably one of the greenest countries in the world, so naturally, all kinds of beautiful and colourful flowers bloom in their fertile soil. This also means that New Zealand florists and Auckland flower shops get to source their fresh flowers from local growers, nurseries and flower farms. However, to be the best, Auckland florists need to have gorgeous floral designs as well as a reliable shipping service. So here are our top picks of flower delivery in Auckland. Flowers After Hours are so called because they deliver fresh flowers until late in the day. They have hourly pick ups for flower deliveries to all Central Area, Parnell & New Market. They also endeavour to deliver all orders within 4 hours. 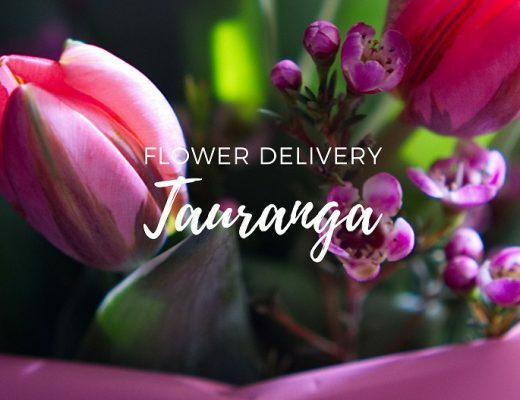 For same day flower delivery in Auckland, orders must be received before 6pm, but for deliveries to businesses, you need to order before 2pm to ensure delivery within business hours. For delivery fees and cut-off times to other areas in Auckland, click here. Same day delivery is available for all orders made before 2.00pm. Brooklyn Flowers is an owner-operated flower shop in Ponsonby, Auckland. Brook Thomson, The Flower Man, is the creative force behind Brooklyn Flowers. He is a self-confessed floral enthusiast who lives and breathes flowers. He’s been working in the floral industry for the last 10 years and uses his passion as well as experience to share his love of flowers to his valued customers. Customers can select floral designs from their online catalogue’s diverse collection, from a single-stem rose to elegant bloom boxes and gorgeous posy bags. You can also buy gift+flower bundles for a quick and easy checkout to surprise your loved one. Devonport Flowers sources the best and freshest seasonal flowers and foliage at Auckland’s flower markets. These market-fresh blooms are crafted into beautiful bouquets, quaint posies and contemporary arrangements for flower delivery Auckland wide. For gift add-ons, they have a range of floral-inspired gifts, gift vouchers, house plants, bespoke hampers, candles and chocolates. At Matan, you can take care of all your gifting needs, from fresh flowers, silk flowers, plants, toys, chocolates and gift cards. Their floral designs are on-trend and contemporary which is a refreshing change from the same, recycled arrangements others offer. They also cater to a wide range of budgets with their petite bouquets. If you want to go all out with a surprise flower delivery in Auckland, then check out Matan Florist’s large and showstopping arrangements. Harbour Rose Florist is an owner-operated online floral design business located in Beachlands on the picturesque Pohutukawa coast of Auckland. Owner Sandra left a career in the medical laboratory industry to focus on her neglected creative skills. Her main floral design inspirations are drawn from special childhood memories of her late grandmother, Phyllis, who was an enthusiastic gardener and amateur flower arranger herself. Harbour Rose Florist’s designs are bold and dramatic, ranging from the contemporary “just-picked from the garden” to the polished, elegant and artistic designs. Using a creative combination of colour, whimsical textural elements and careful attention to detail, customers will get thoughtfully crafted floral arrangements every time. Cut-off time for same day delivery is 9.30 am for business delivery and 1.30 pm for residential delivery in greater Auckland area. Saturday orders must be received by 9.30 am. Established in 1999 by Jo Mann, the The Wild Bunch located in the heart of Remuera has since been offering flower deliveries throughout the greater Auckland area. The Wild Bunch has a team of experienced and fashion-forward florists creating a wide array of floral designs from simple single-stem bouquets to opulent displays and gorgeous floral styling for weddings and events. Best Blooms is your traditional online florist with a large selection of designs and arrangements for all occasion. You also get a variety of add-ons for birthdays or anniversaries. They’re great for birthdays, housewarming and celebratory occasions because they have a lot of fun and colourful arrangements meant to uplift and boost the mood of the recipient. They also offer pre-approved corporate accounts for business customers with orders. NZ’s Number One Bespoke Florist for Bee-Friendly Cut Flowers, grown on their farm without nasty Chemicals, and sold direct to you. Each bouquet is carefully hand picked when you order and crafted for your individual needs. They hand deliver their flowers and bouquets locally so they arrive in the freshest possible way. For same day local delivery, orders must be before 1.30pm and 10am for orders in Auckland City. They have a Talented Team of Floral designers who can hand craft anything from small posies to full wedding flower packages. Give them a call on 09 4127606 and they can also help you with planning your engagement or hens party to the actual wedding ceremony itself. To make buying fresh flowers fun and easy, Miss Blossom refreshes their bunches every day or two, handcrafting bouquets based on the blooms they get from the market. So, instead of a large selection of flowers for all occasions, customers are treated with smaller, beautiful & rustic bunches with a touch of vintage wrapped in their signature hessian tied with twine. This makes it easy and affordable to send flowers to celebrate even the littlest everyday occasions or “just because”! 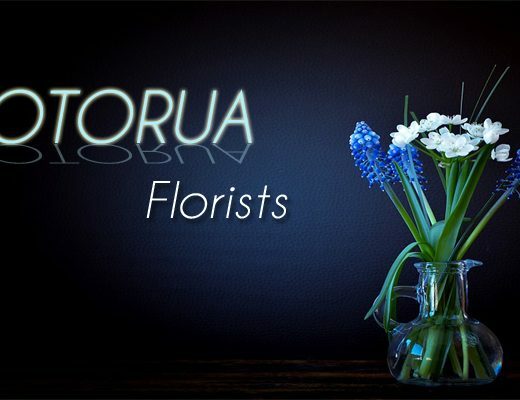 The Flora Studio is a family-owned and operated business providing customers with a daily selection of only the highest quality fresh flowers in Auckland. Customers can choose from a wide variety of fresh flowers, vases, house plants and pots, ECOYA and Devonport chocolates. Plus, if you need help with a special event, The Floral Studio can help you select the perfect floral design. Eastridge Flowers is New Zealand’s largest retail florist, having been in business for over 20 years. They deliver the same day throughout Auckland and take pride in delivering the highest quality flowers alongside exceptional customer service. Flowers of Franklin provides several options for size and packaging per design. For sizing, you can choose from grand, lavish, sumptuous, divine and superb. As for packaging, the options are Gift Bag and Aqua Pack (free), Classic White Paper and Aqua Wrap (free), and Deluxe Belle Vase 27cm and Gift Bag (additional NZ$39.00). From old-fashioned roses to bohemian mixed bouquets and pretty pastels, Florienne’s catalogue displays a wide range of designs from traditional bouquets to contemporary and eclectic arrangements. As for shipping, North Shore and CBD deliveries must be placed before 1pm for same day delivery, while Auckland-wide deliveries must be placed before 12pm on weekdays. On Saturdays, they only deliver in the afternoon for North Shore deliveries placed before 11am and Auckland wide deliveries placed before 10am. 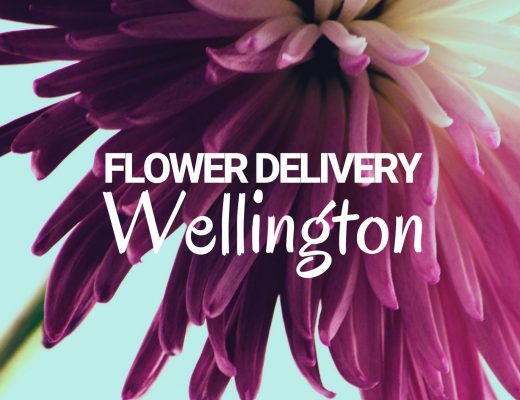 One of the main complaints of customers about flower delivery in Auckland usually has to do with the product being far from the photo advertised on site. While florists often add a disclaimer that flowers and packaging can vary depending on availability and season, Roses Are Red has managed to remedy this situation by emailing a photo of the final design before they deliver. This way you get to see exactly what you are getting for your money and not be surprised in a bad way. Thank you very much for featuring our website for ordering flowers for delivery in Auckland – we appreciate it. Thank you Kind regards Jo Best Blooms Florist Auckland.